I’ve been blogging (and using social media) publicly since October 2010 – using non-private accounts. This was a decision as a mid-thirty something woman I took – but not lightly. I am not naive nor over-trusting. I operate with caution online – to the best of my ability – and that is why there are no images of my children’s faces on my blog or public persona of Simply Being Mum. This is not to cast judgement on any other bloggers who feature their children – I love hearing (and seeing) their stories of family life, but for me it wasn’t a difficult decision to make. I knew my children would not be seen clearly visually and I rarely (if ever?) use their name publicly online. Maybe it’s because my day job is working with various customers on social media and content creation – this may make me more aware, or maybe just more paranoid. Planet Earth is 99% good and we should never forget that. As I said I was a 30-something woman when I began, I’ve now crossed over the 40 year mark and am no less cautious – even with years of uneventful successful blogging and creating content for social media under my belt. My objective as my own children grow older and use social media themselves, is to remain conversant and have a good understanding about the new platforms that are continuously being developed. Back in 2010 we had Facebook, Twitter and little else. These platforms have themselves changed and many more are now available, that are increasingly attractive to young children. Factor in that more children now have access to social media through their devices and it’s obvious why we need a Safer Internet day to remind us not to become complacent. Let me talk about Musical.ly. But let’s start on a positive. Musical.ly is without a doubt a really fun app to use. 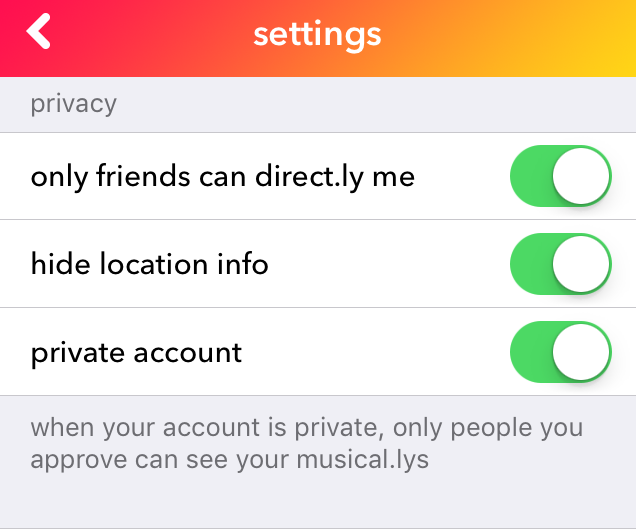 Musical.ly is also the social media app that we are warned about most with regard unsolicited contact with our children (just type Musical.ly and ‘daily mail’ in a search engine or even just ‘warning’). The reason I am singling out Musical.ly isn’t because I think it’s any less safe than other platforms – in my opinion (whether this is right or wrong) it’s just that many parents and guardians do not understand Musical.ly as they do more established social media such as Facebook. Musical.ly is also very popular among young girls. Please note that the minimum age to use Musical.ly should be 13. I’ve spoken to numerous adults who were not aware that Musical.ly is social media – some believe it to be a private app that makes music videos. Some people who do know it is social media do not know that even if an account is private that profiles are public, and also that unless you manually change your settings that strangers can contact you or as they call it get in touch ‘direct.ly’. There are of course many other things you can do online to help protect a child’s identity – such as ensuring that they do not show their face on profile images, or wear identifying club or school uniform. Information on bio’s should not give away a child’s identity or location. And of course be aware/mindful of what you child does behind closed doors or with friends who may have public accounts that you do not know about. Finally just because an account is private it does not make it safe. The internet isn’t a safe environment for children to wander unsupervised – and a private account can create a false sense of security with parents. Any social media account holder can accept friends/followers – so monitoring who your child is accepting as a follower (and checking who they are following) is a very sensible idea. I love the internet, truly – let’s all make it a safer place to be for everyone, and especially for our children who have beautiful innocence and have not yet discovered that their world can be a dangerous place.